In 2015, the global market for agricultural robots was $2.8 billion and it is predicted that in 2020 it will reach $16 billion (Statista). According to the report, From Agriculture to AgTech the fourth revolution is coming and robots will take part in improving crop efficiency, “start-ups and cross-industry innovators offer drones, robots, big data and sharing platforms as well as irrigation, soil, and crop technologies to increase effective yield”, as stated by Deloitte. 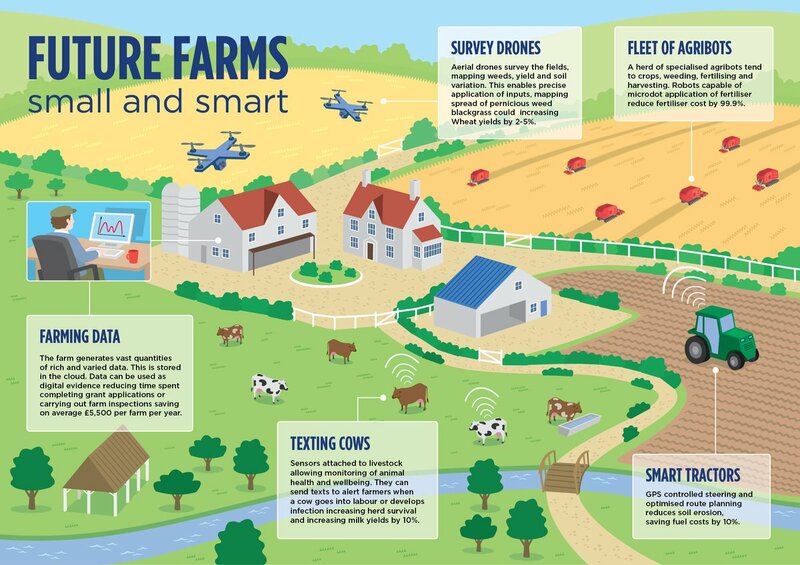 Precision farming and remote sensing are currently some of the farm management trends in the AgTech industry, let’s check some of these innovations. 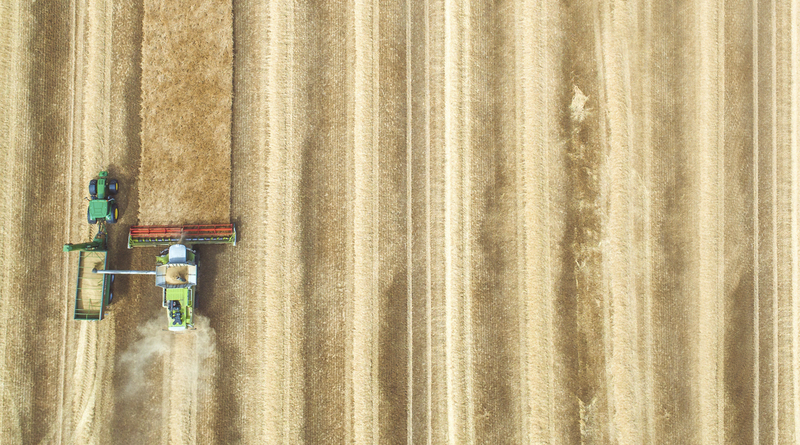 Precision farming is possible thanks to sensors in animals and soil or drones with the capability of analysing the crop. Skyx is one of these startups working in the field of precision spraying. In June this year, their solution won the Mobile World Capital Barcelona startup competition and RobotUnion’s fast track at the Automatica Fair in Munich. Read this interview we conducted for to find out more about Skyx! Agribot research and prototyping has been the main line for work by the Australian Centre for Field Robotics of the University of Sydney, who have experimented and developed several agribots: Swagbot, the robot cowboy, see it in action; as well as Rippa and Ladybird for autonomous crop control. To know more check their videos and conference papers. You may not believe it, but even you can make an agribot at your home! It is possible with this open source farmbot solution, you will just need to be able to print some 3D pieces and ground at home to harvest. Autonomous and connected cars are a priority for a more efficient driving with a lesser impact on the environment. In the agricultural sector, autonomous and intelligent tractors are also an emerging technology on the rise. On one side, companies are manufacturing new ones: John Deere, Autonomous Tractor Corporation, Fendt, Case IH, among others. In cities like Salinas in California USA they have strategically prioritised the boosting of AgTech for economic purposes and to fill in the jobs related to farming that the younger generations are no longer interested in, mainly because of the closeness of Silicon Valley to this area. Through the Western Growers Center for Innovation & Technology based in the area, they built an AgTech startup acceleration programme, the only one in the USA. 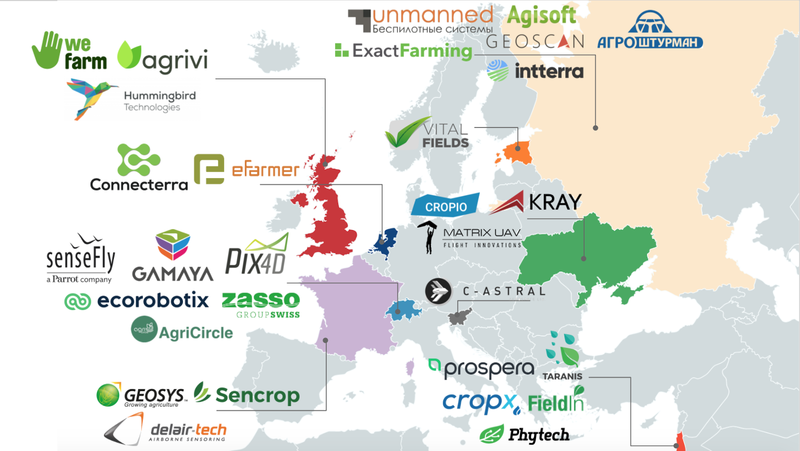 More than 100 enterprises are directly linked to the disruption of agriculture. Forbes each year publishes the 25 best US startups in this sector. If you want to deepen your knowledge in this sector and get to know the role of women in farming and technology innovation, we recommend you to watch the documentary From Farms to Incubators – Telling the stories of women entrepreneurs in AgTech, which also addresses the empowerment of women in STEM areas.